Celebrated as the most notable portrait and landscape painter of Georgian England, Thomas Gainsborough (1727-1788) was also a brilliant and experimental draftsman. 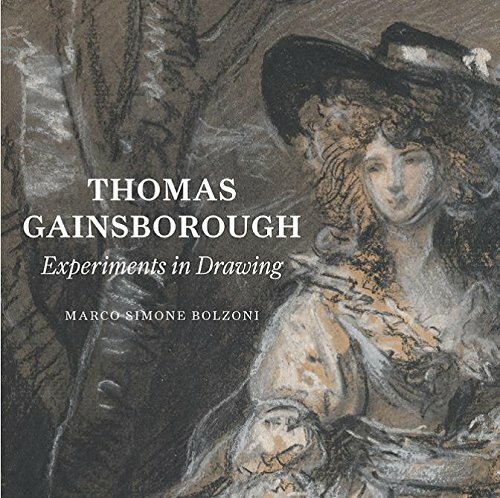 Published to accompany the exhibition Thomas Gainsborough: Experiments in Drawing at the Morgan Library & Museum, which has one of the richest holdings of Gainsborough drawings in the United States, this book offers an overview of his work as a draftsman and elucidates his technical innovations and his mastery of materials. William Jackson, one of Gainsborough’s closest friends and biographers, noted that if he had “to rest his [Gainsborough’s] reputation on one point, it should be on his Drawings.” Gainsborough was indeed a draftsman of rare talent and creativity, and his experiments in drawing inspired an entire generation of British artists, from John Constable (1776–1837) to J. M. W. Turner (1775–1851). When not occupied with his lucrative portrait business, Gainsborough devoted much of his time to his true passion, the depiction of landscapes, and more than 600 of the artist’s approximately 800 surviving drawings depict the British countryside. Like most artists from his generation, Gainsborough did not draw directly from nature but instead re-invented landscape “of his own brain,” laying out on his work table stones, branches, leaves, and soil of various colors. His passion for drawing extended to technical experimentation. Gainsborough mixed different kind of media and invented recipes to make drawings in his own personal fashion. He would sometimes immerse his drawing paper in milk or varnish it to give his landscapes a lucent tint.